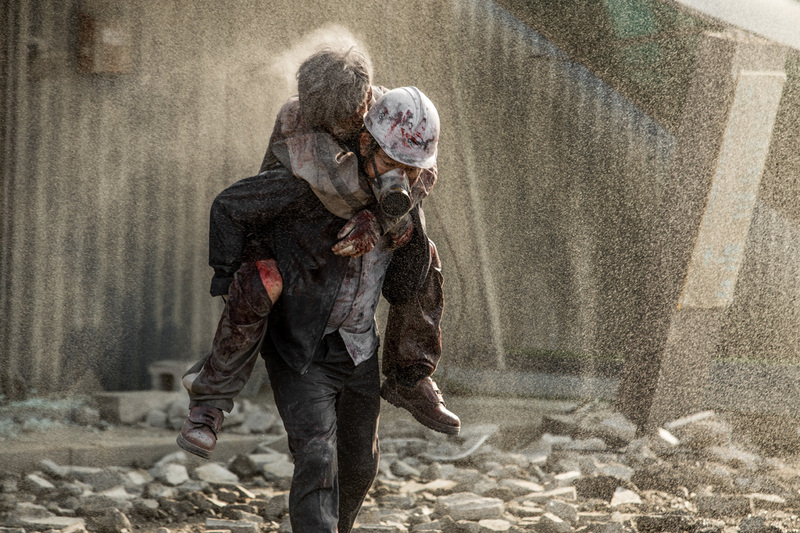 Though not a new phenomenon in Korean cinema, the disaster drama has been particularly popular in 2016 and just as we wind down the year the local industry is preparing to launch one final assault on multiplexes with the release of Park Jung-woo's nuclear-themed extravaganza Pandora. From the same studio that brought us Train to Busan and featuring both the director and star of the 2012 disaster hit Deranged, the film has plenty of pandemonium pedigree behind it and already has the distinction of being the first Korean film to ever pre-sell to global online streaming giant Netflix. A quaint town near the port city of Busan receives a new lease on life when a nuclear power plant is built and provides stable employment for most of the local men. One of those employees works there against his will, bitter following the death of family members at an earlier incident at the plant. One day, the quiet town is shook by an unexpected earthquake and the poorly-maintained station faces a catastrophic nuclear meltdown. In a story clearly reminiscent of the Fukushima disaster, danger looms as the Seoul government colludes with plant management to cover up the problem and townspeople fear for the safety of their loved ones. Following in the footsteps of local disaster hits Haeundae (2009) and The Tower (2012), Pandora devotes a good deal of its early going to developing melodramatic ties within its broad cast of town locals. The bright scenes, playful banter and simplistic staging wouldn't be out of place in a local TV drama. Add to the mix several scenes featuring irresponsible and conniving higher-ups at the plant and within the halls of the Blue House in Seoul, and the stage is set for a story in which innocent working Koreans are at the mercy of the villains who clutch the reigns of power. Hardly a new narrative machination, local films have alluded to the reckless class time and again, with Train to Busan and The Tunnel both benefiting from the anger of viewers to drum up huge box office receipts earlier this year. Yet unlike those two titles, which were careful to balance their thrills and drama and drummed up the ire of spectators through precise juxtapositions, Pandora lines up the black and white pieces before drawing a sledgehammer down on its brittle chessboard. When the film does get going, the rippling effect of the crisis throughout the region is strongly rendered through chaotic crowd scenes and solid special effects. Where the film is less convincing, but perhaps predictable, is in the histrionic depiction of the women in the town worrying for their loved ones. Usually strong actresses such as Kim Young-ae (The Attorney) and Moon Jeong-hee (Hide and Seek) are given hollow characters and ape melodramatic extremes as the main hero's mother and sister-in-law, while Kim Joo-hyeon is a tough sell as his girlfriend. The film also stumbles in its inert Blue House scenes, despite the presence of the always reliable Lee Kyoung-young (Inside Men) as the scheming prime minister. Playing the reticent president, Kim Myung-min (Deranged) sinks into the background and never commands much attention. Given the current political crisis gripping the nation, viewers may have a hard time being convinced by his sympathetic president who eventually fights cronyism within his office to do the right thing. More successful are the scenes at the plant, particularly those with Jung Jin-young's (The King and the Clown) determined chief engineer, who battles his cowardly superiors. The shocking responses of the plant executives and government in trying to hide the scandal ring all too true given recent events in Korea, particularly the extraordinary lapses in judgment that surrounded the sinking of the Sewol Ferry. While side-lined for much of the mid-section, Kim Nam-gil (The Pirates) does a decent job with his lead character, though he is also hampered by the melodramatic excess of the third act. 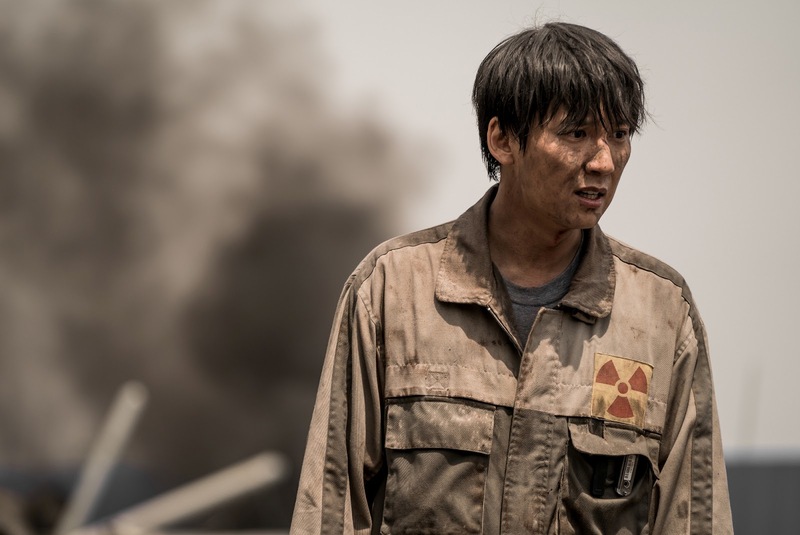 While Pandora is a reasonably effective addition to Korea's disaster genre, a stronger directorial hand and a less transparent script may have given a stronger edge to the very real concerns brought up by its premise.